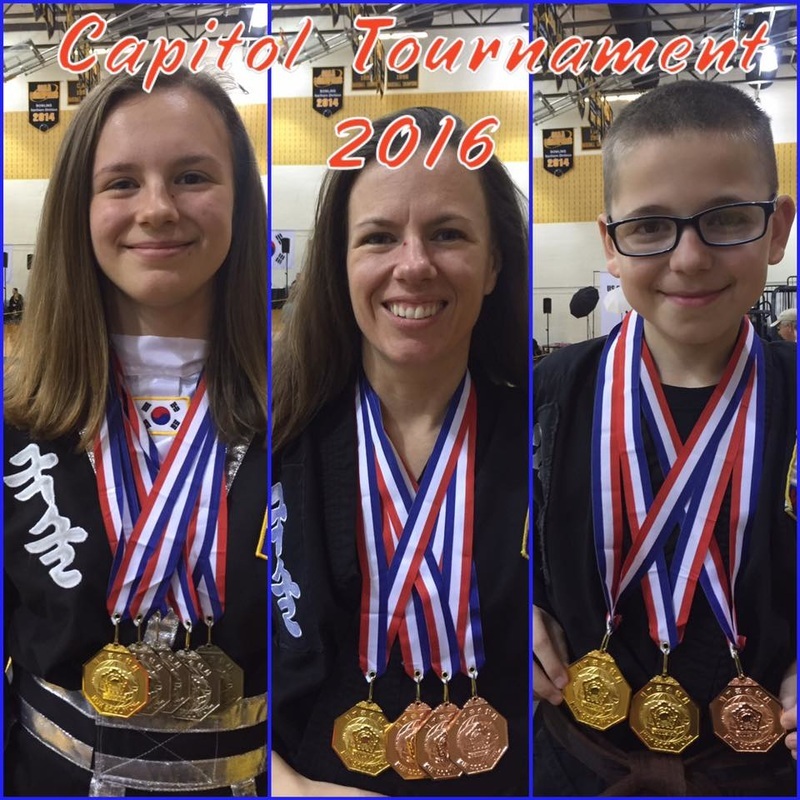 Local Students Travel to US Capitol! 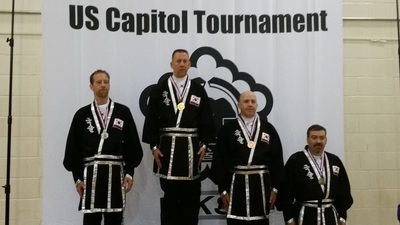 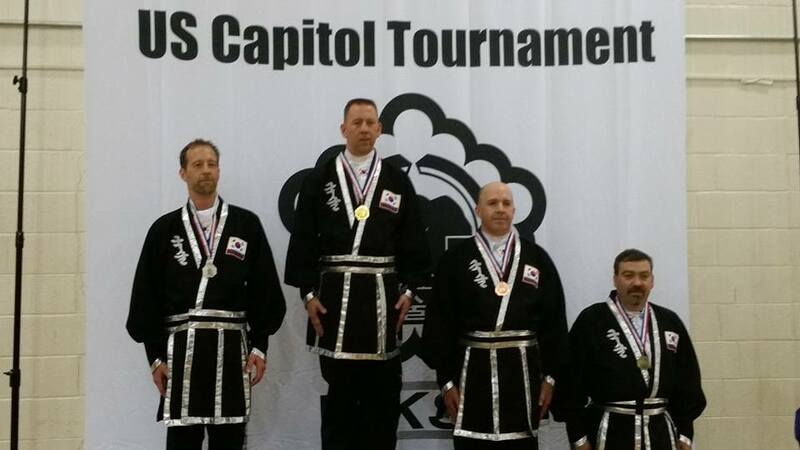 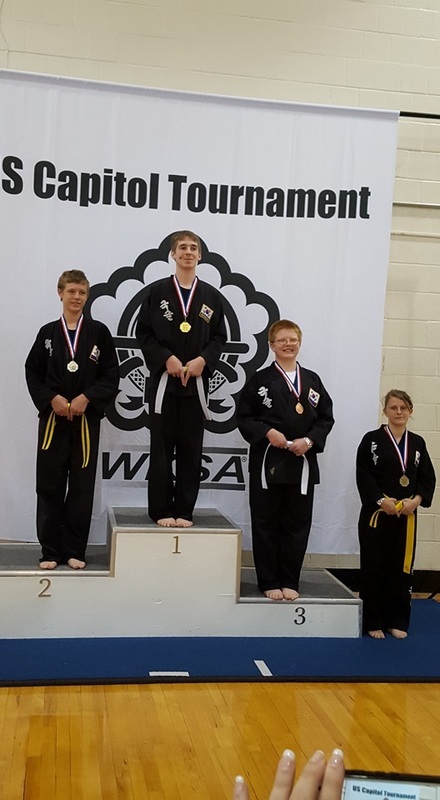 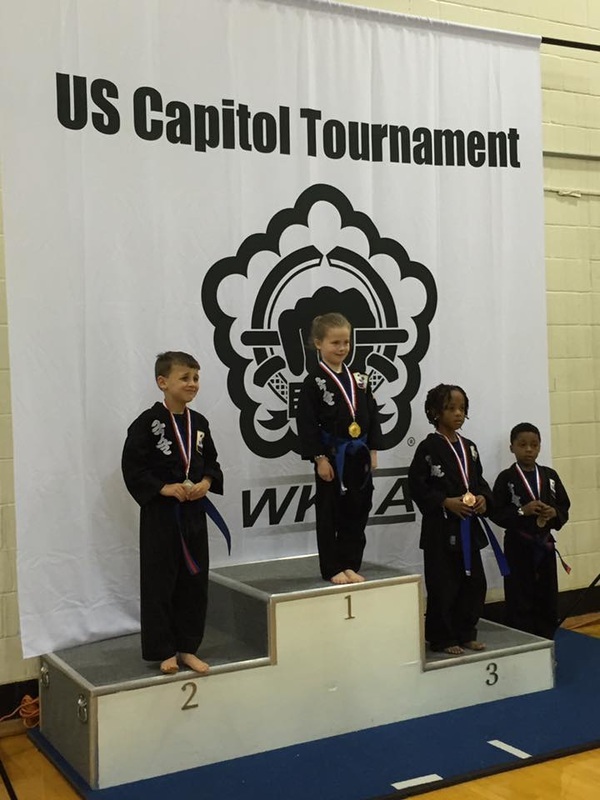 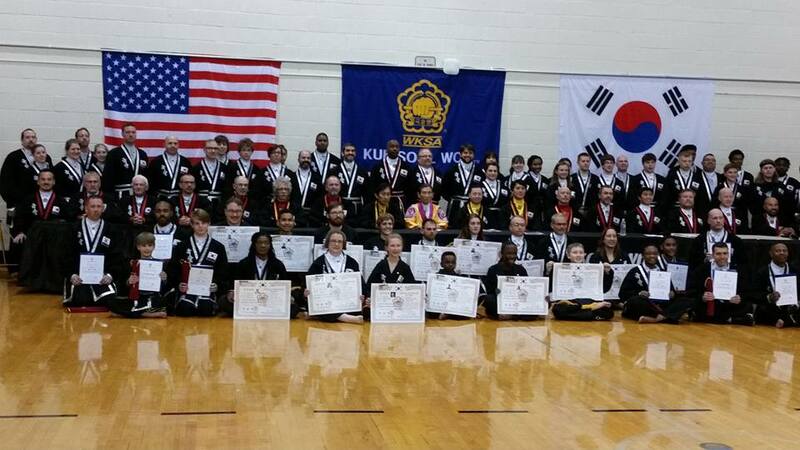 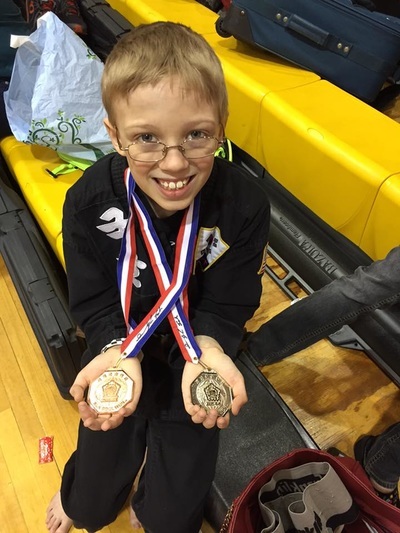 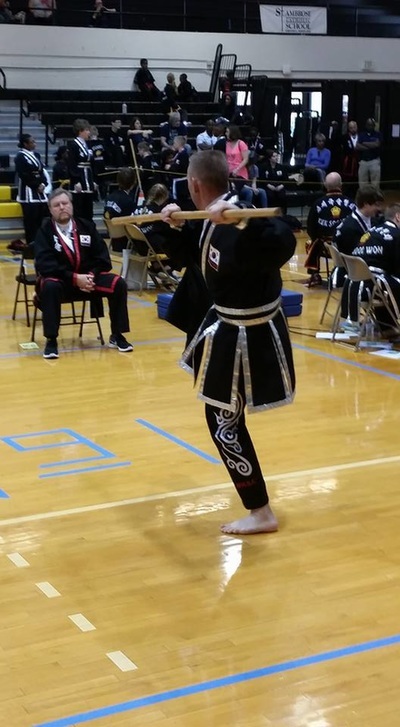 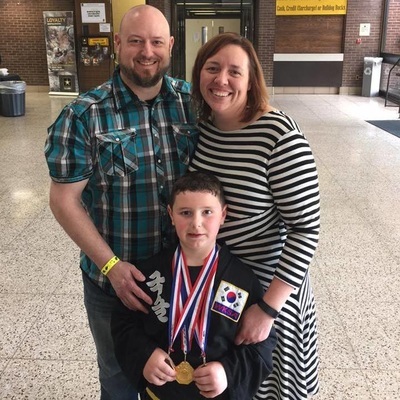 On April 23rd, 2016, Kuk Sool Won™ of Burton, Michigan participated in the 1st ever World Kuk Sool Association (WKSA) US Capitol Tournament. 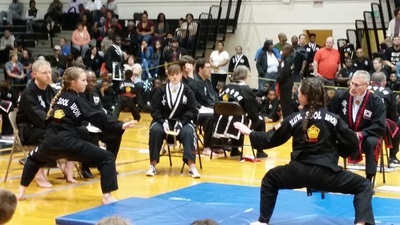 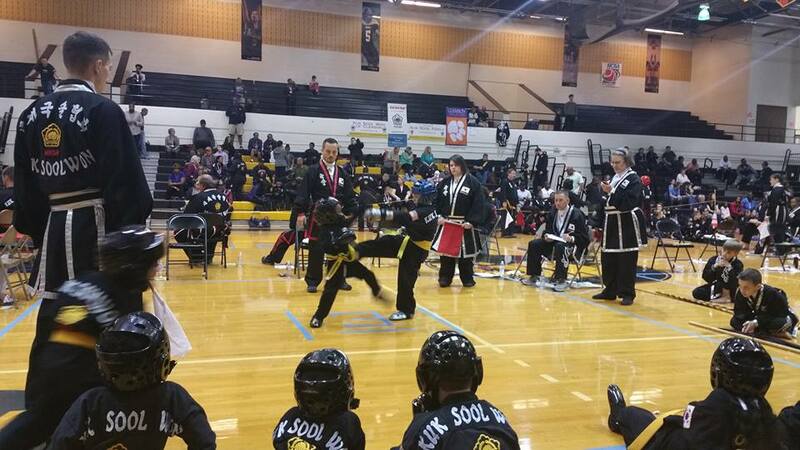 This tournament was held at Bowie State University in Bowie, Maryland and was quite an impressive event. 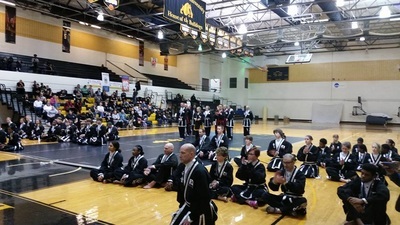 Over 300 competitors from around the country traveled to participate in this tournament. 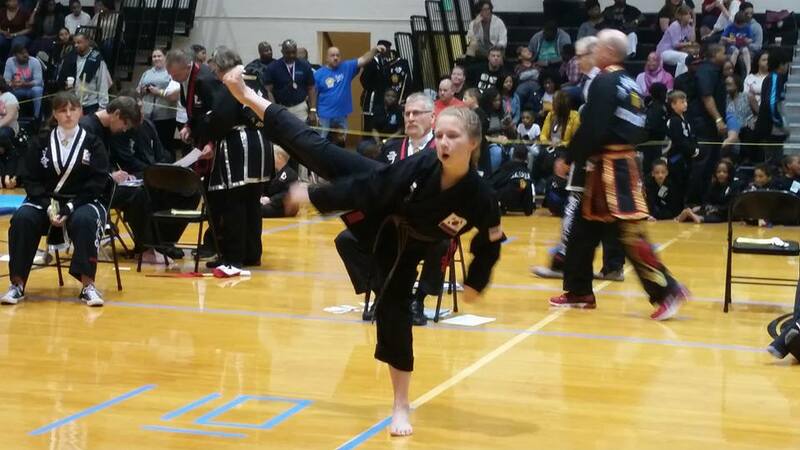 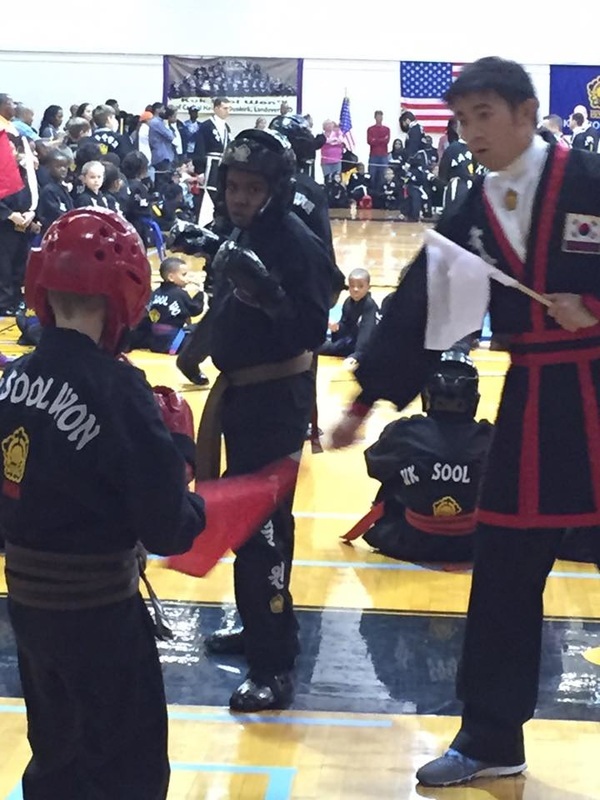 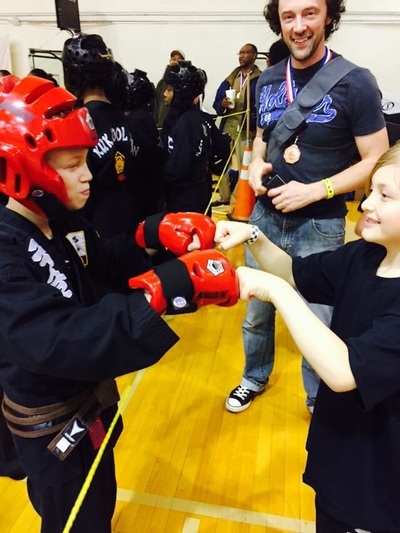 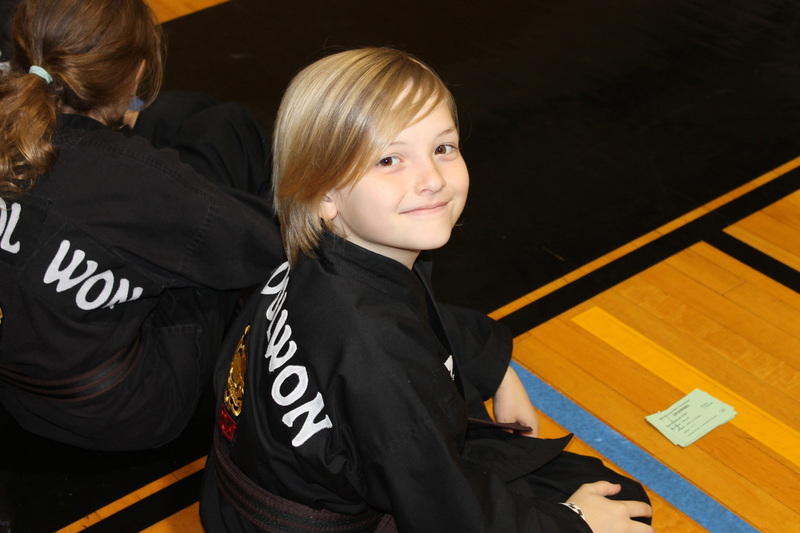 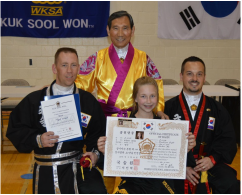 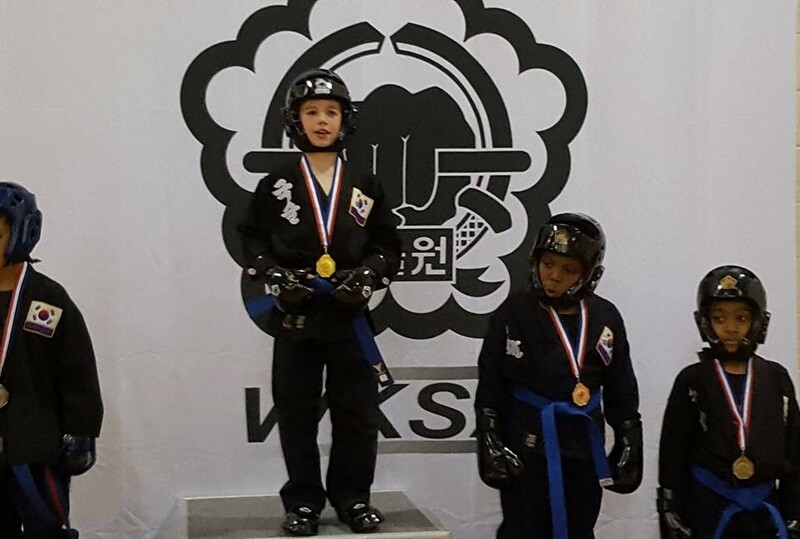 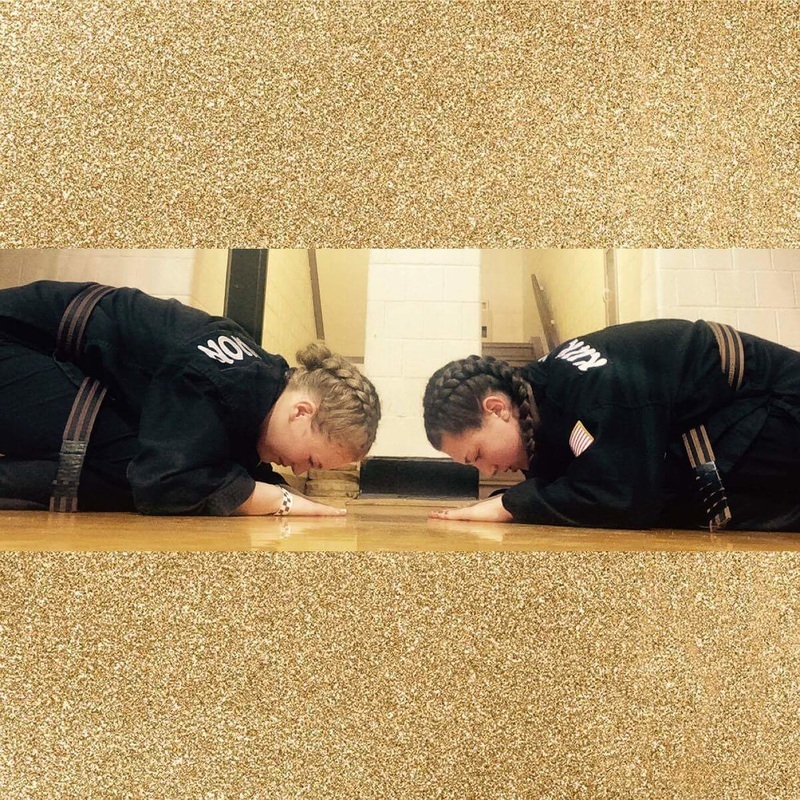 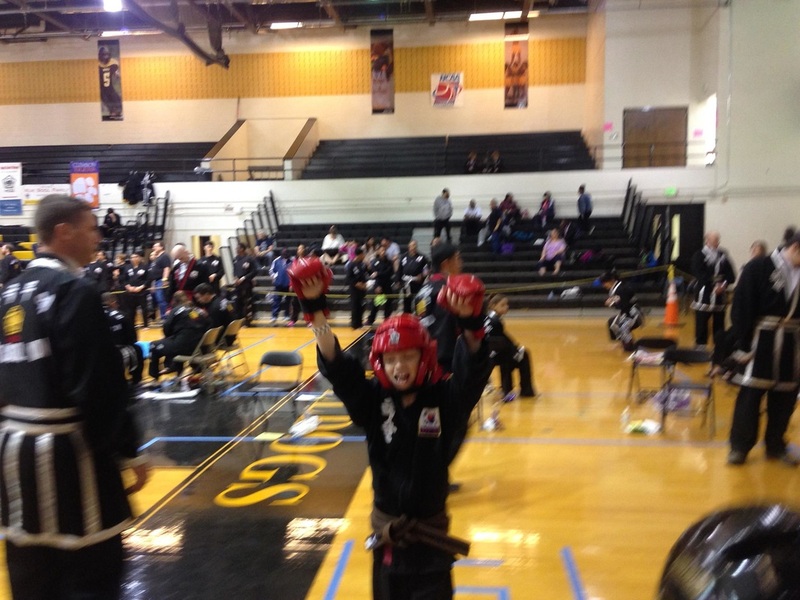 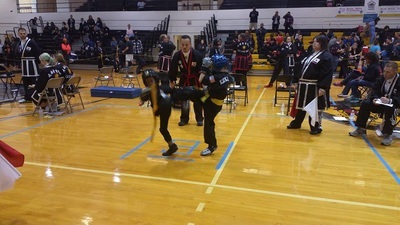 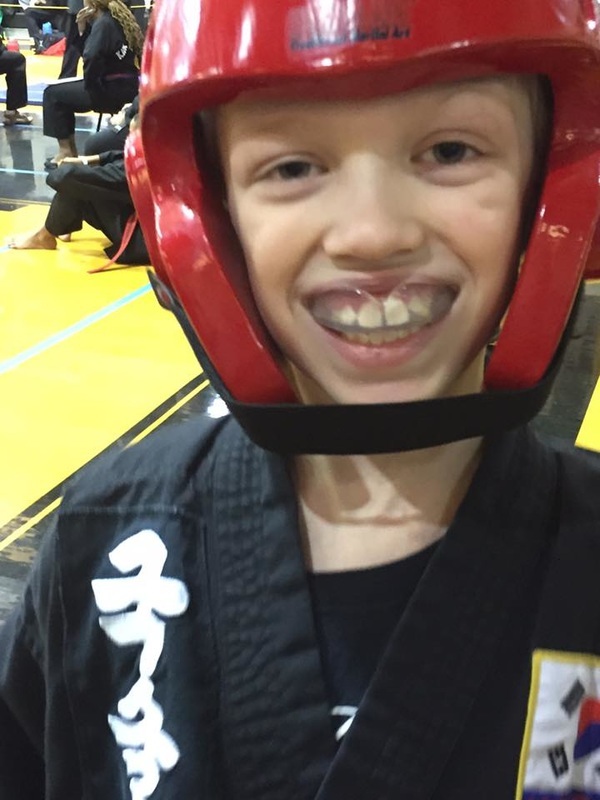 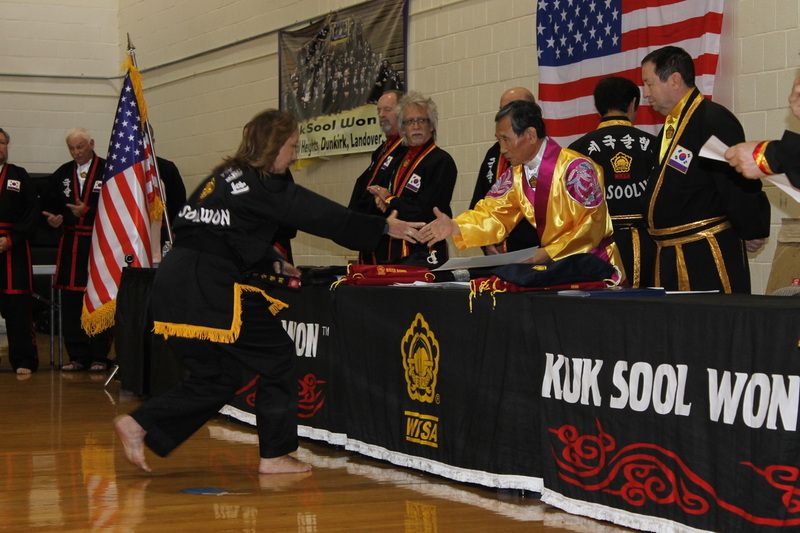 Our school: Kuk Sool Won™ Martial Art Center (5515 Davison Rd. 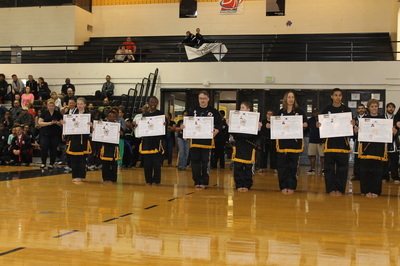 Burton) took 22 students to compete in this first time event. 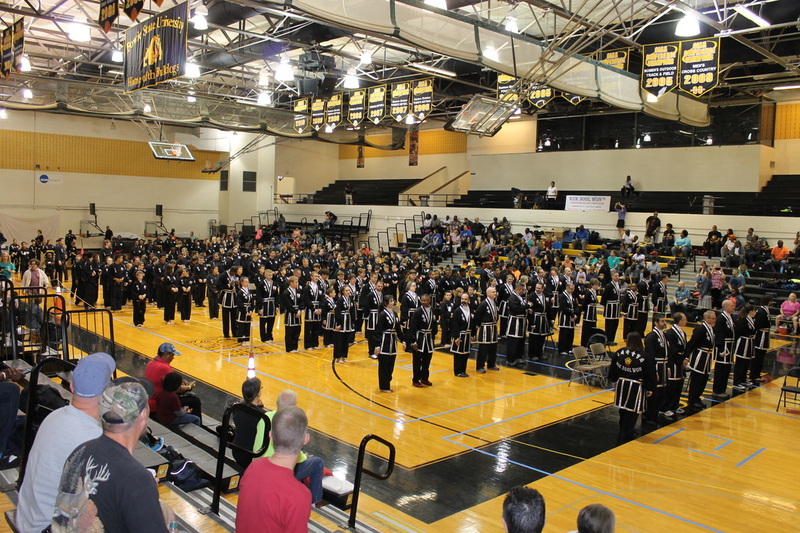 Each of the students performed well and represented their school with honor. 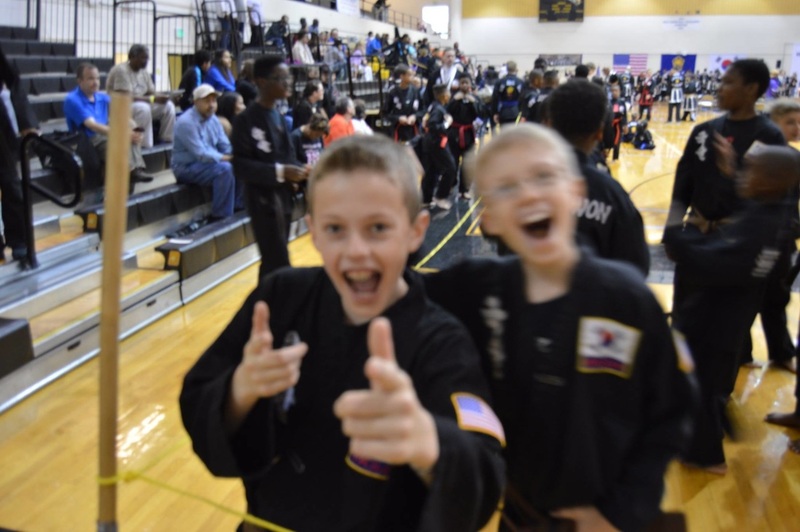 "Our students were outstanding! 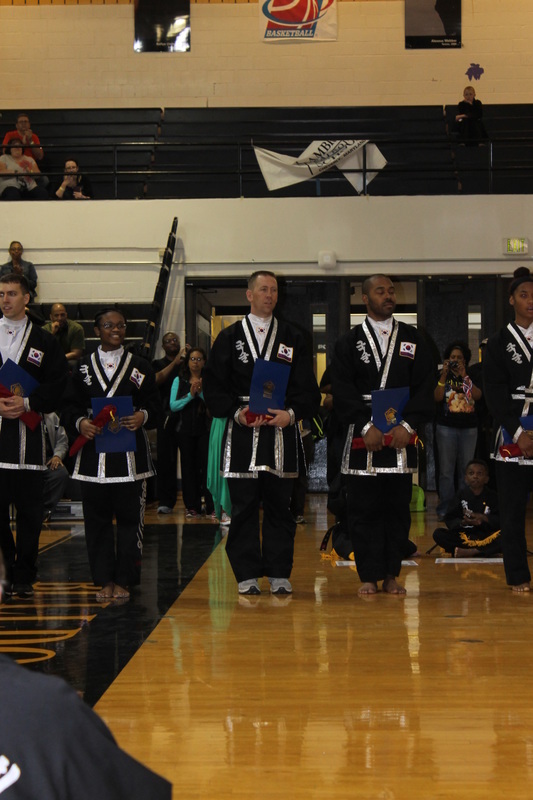 They acted with honor and respect through the whole tournament. 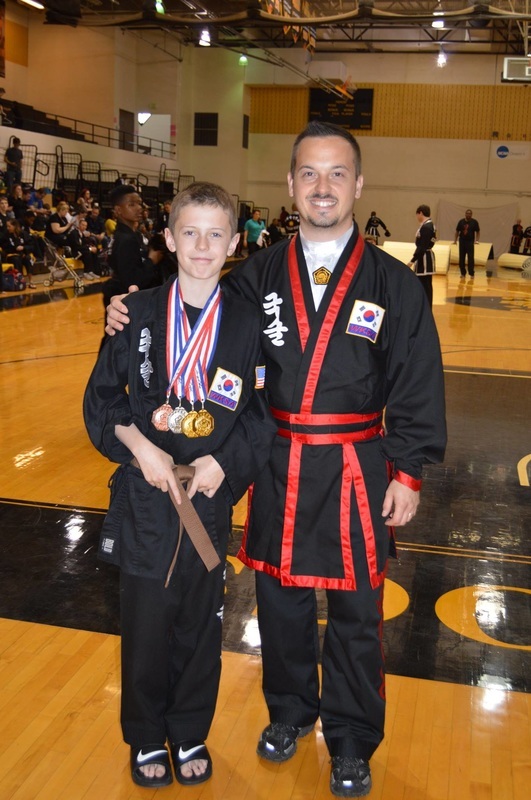 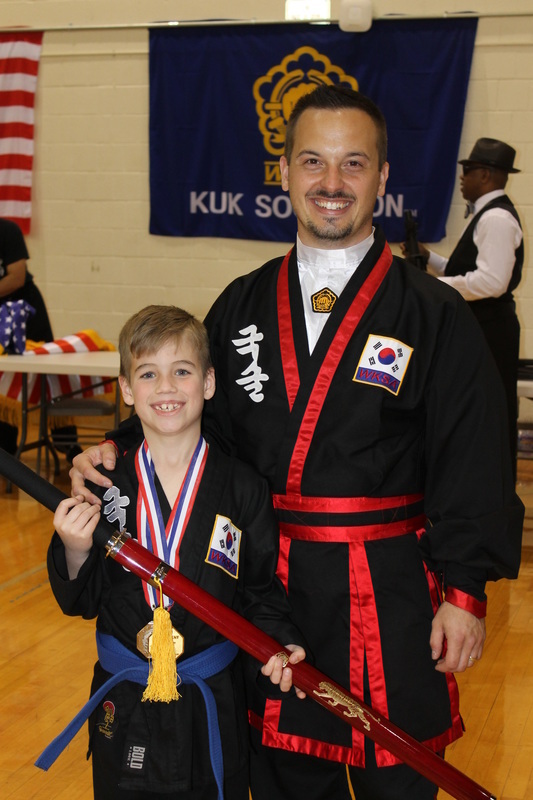 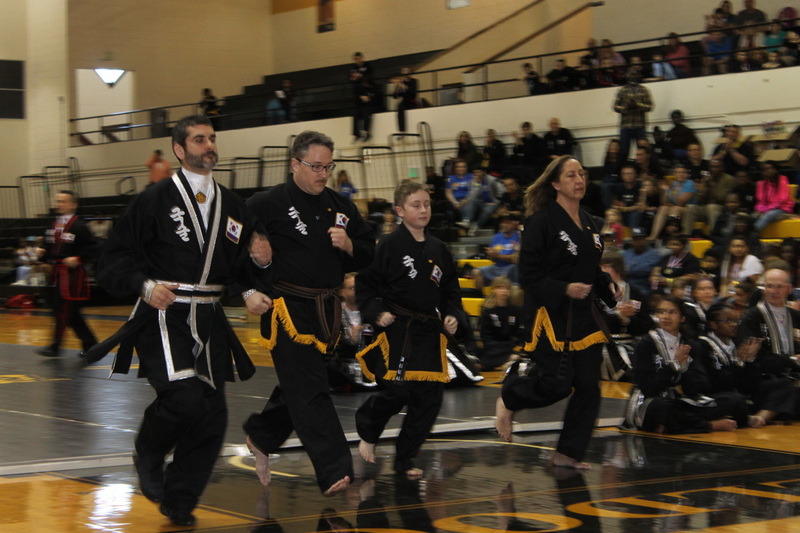 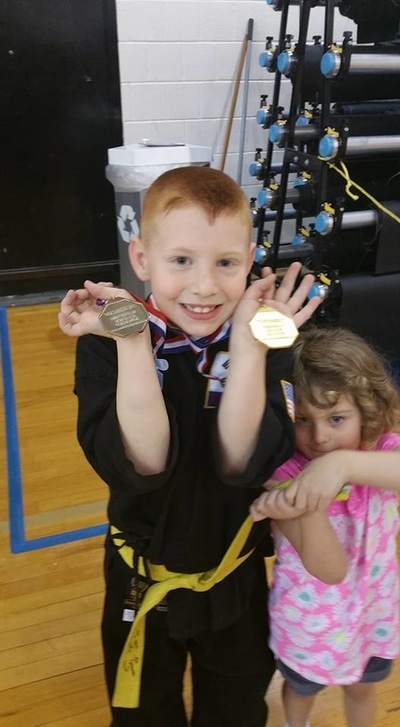 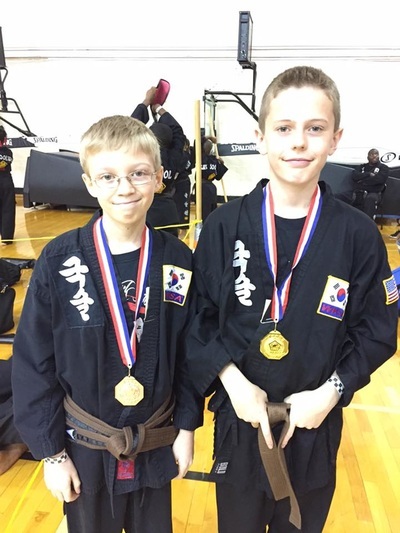 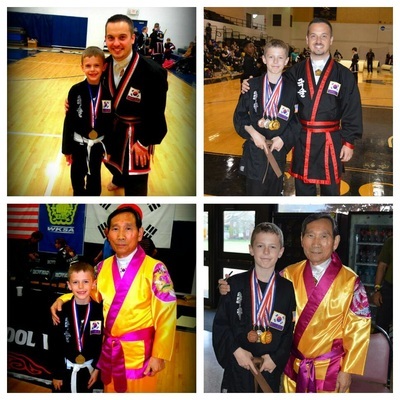 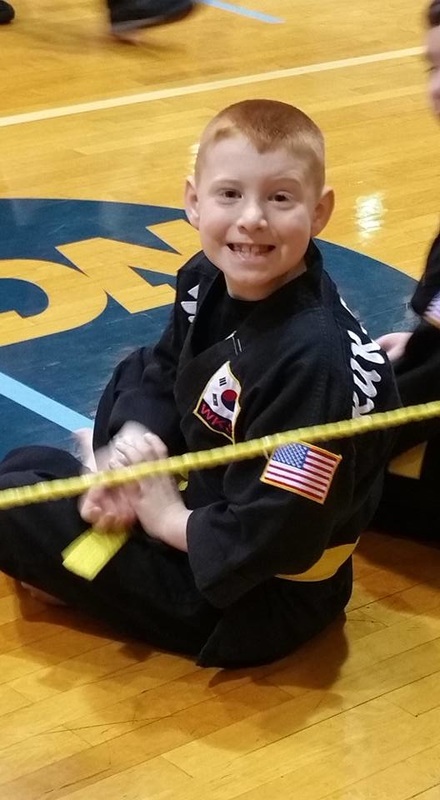 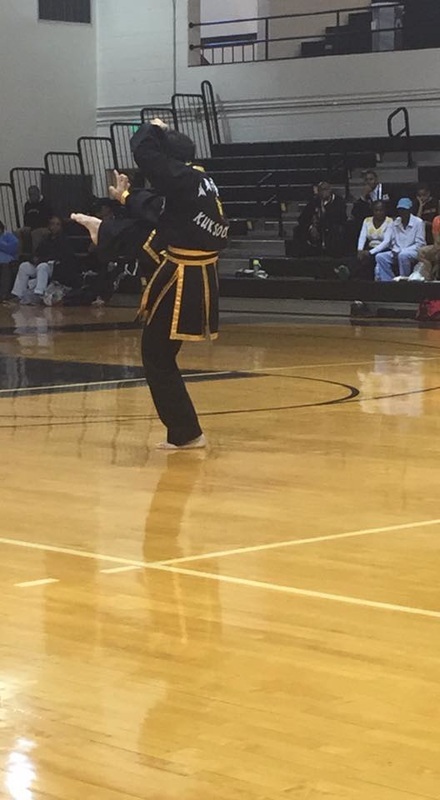 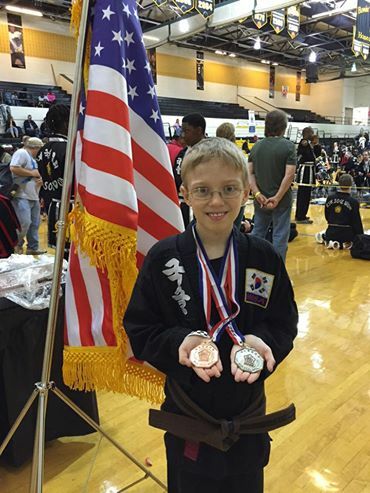 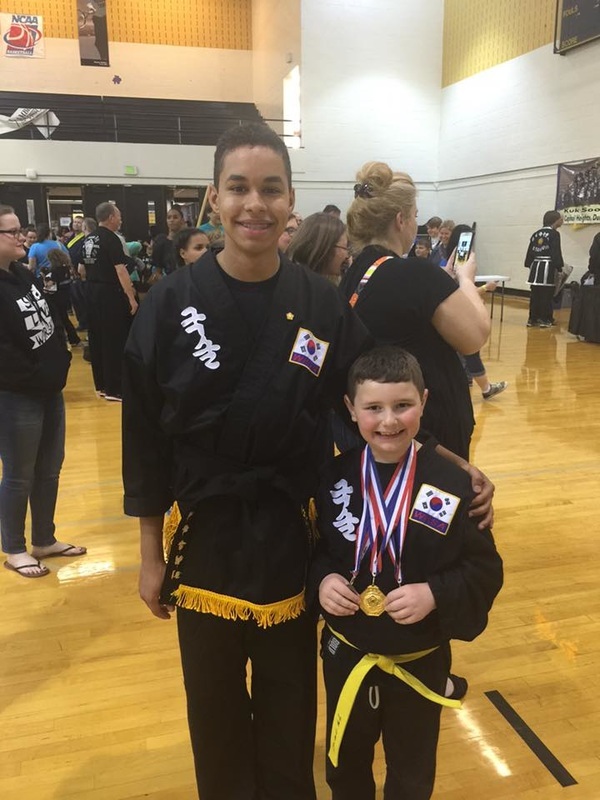 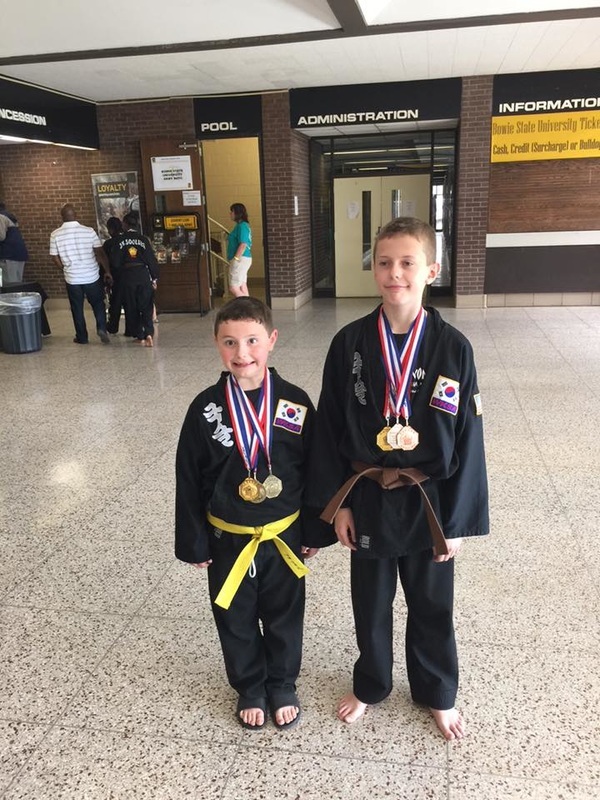 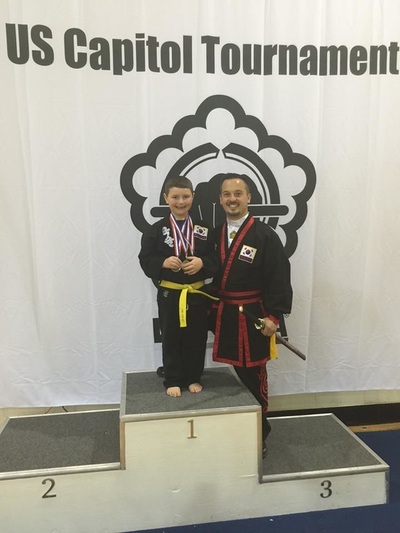 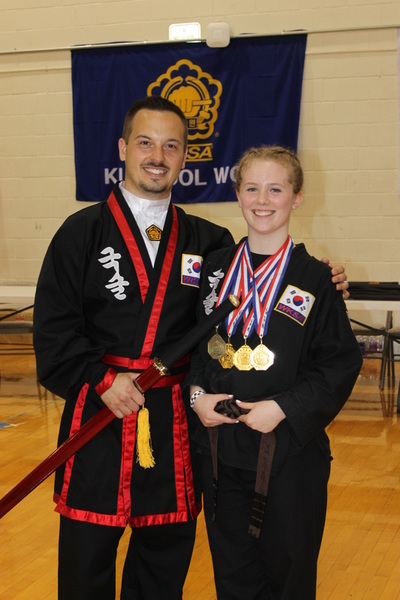 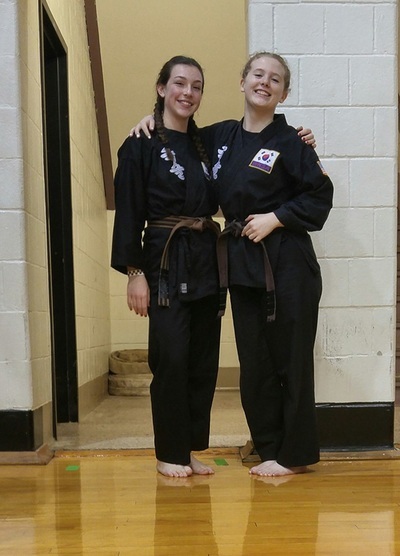 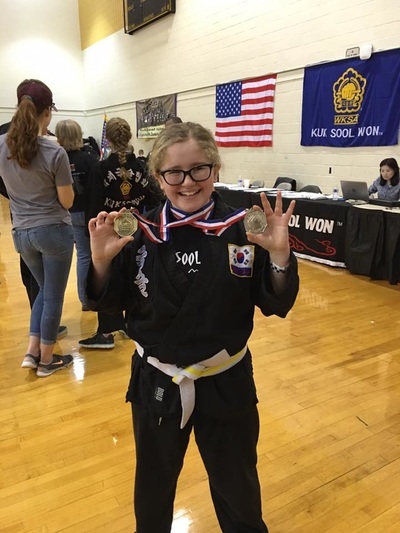 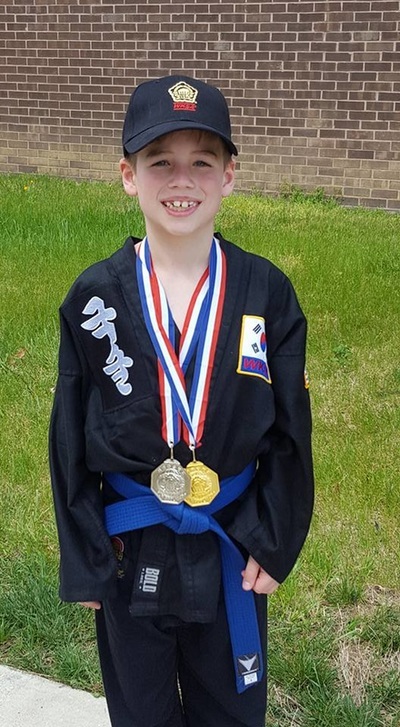 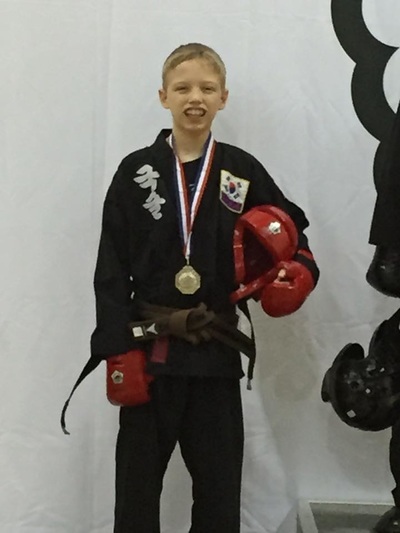 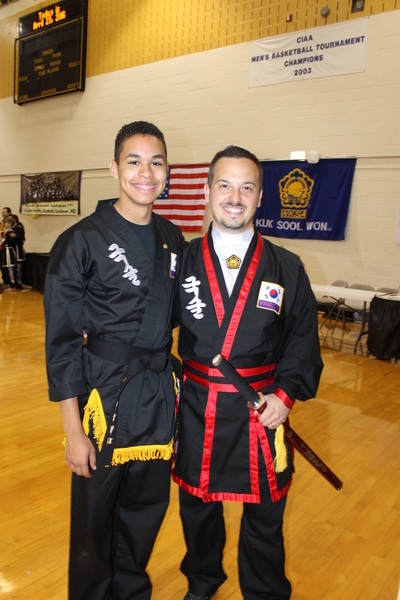 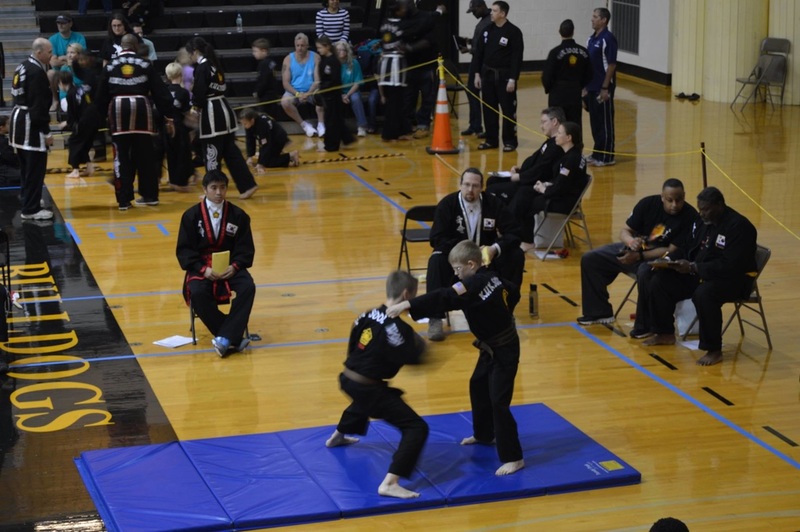 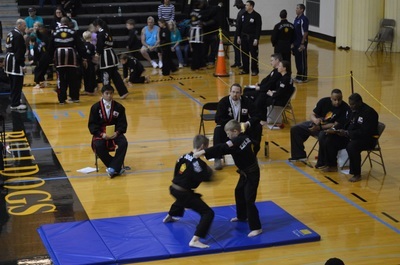 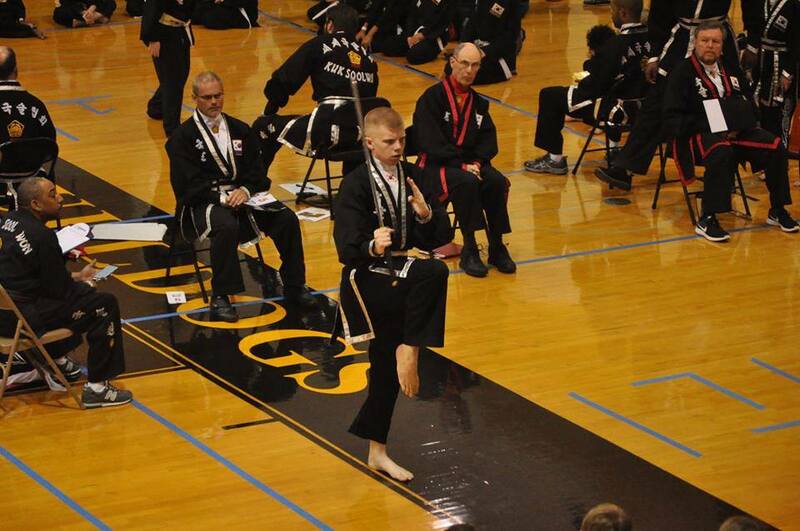 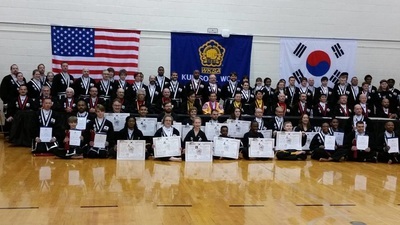 I'm very proud of our Kuk Sool Family and the accomplishments that each student made. Just to compete takes so much courage, so each student should feel accomplished regardless of the medals they won." 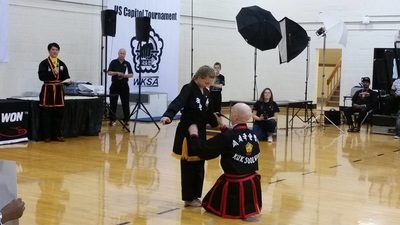 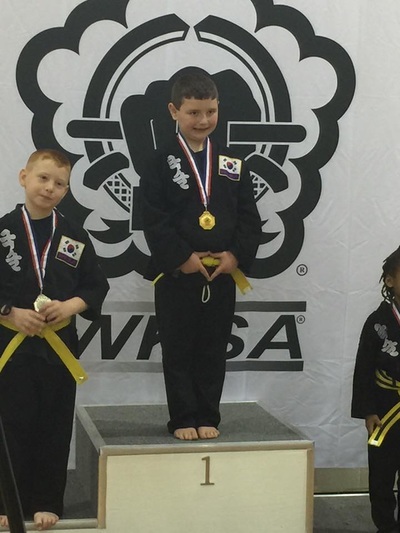 After the tournament, the WKSA ended the night with the Masters Demonstration / Award Ceremony. 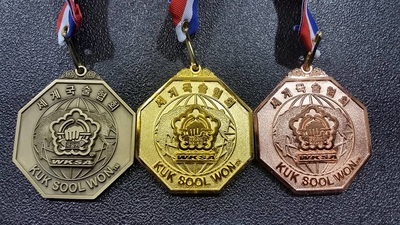 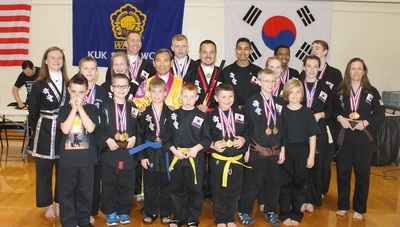 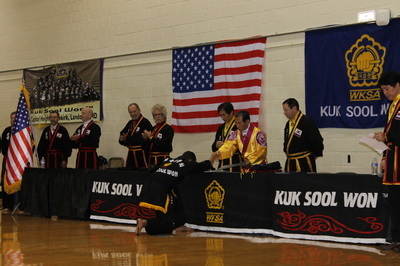 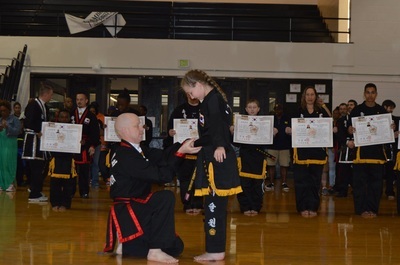 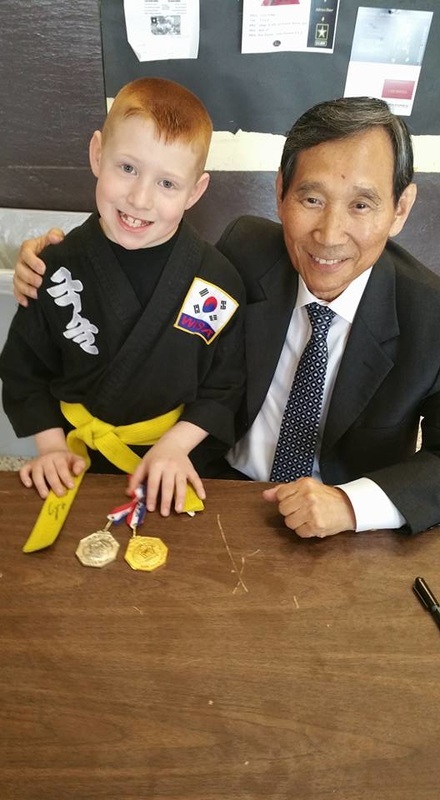 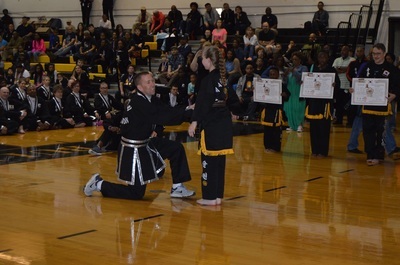 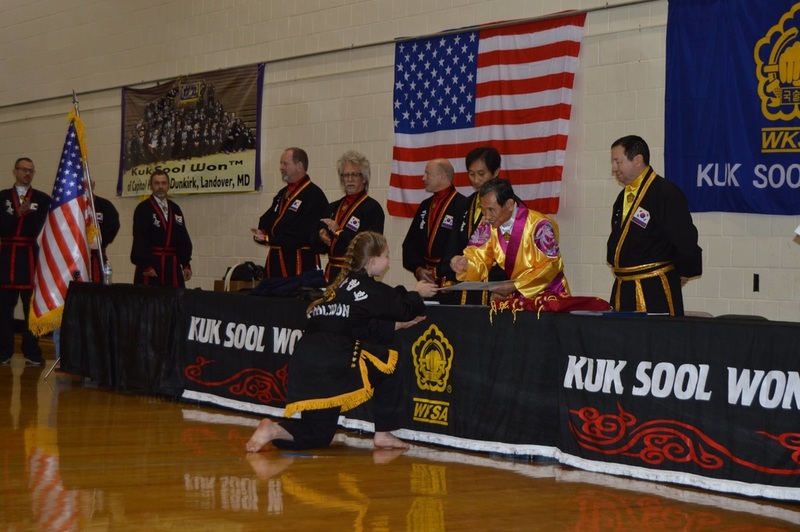 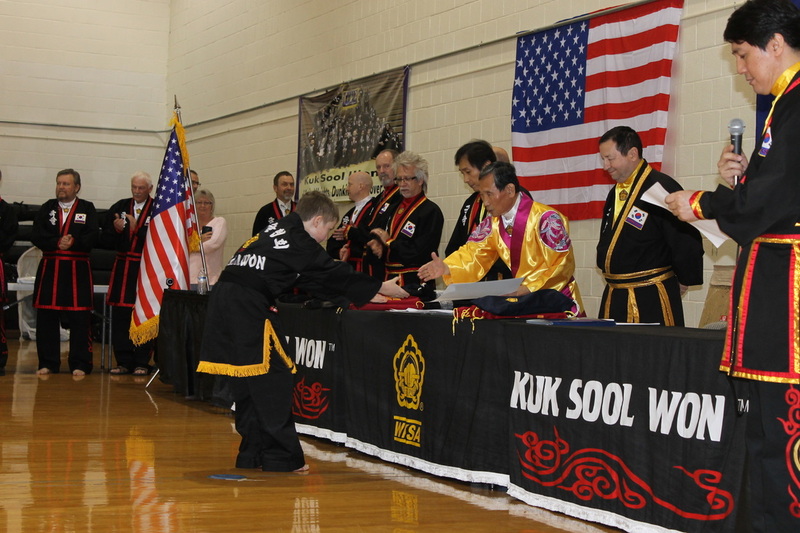 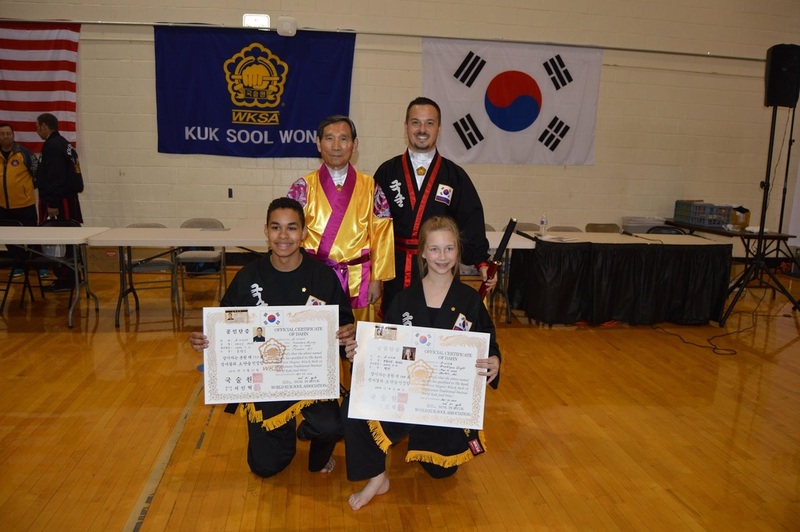 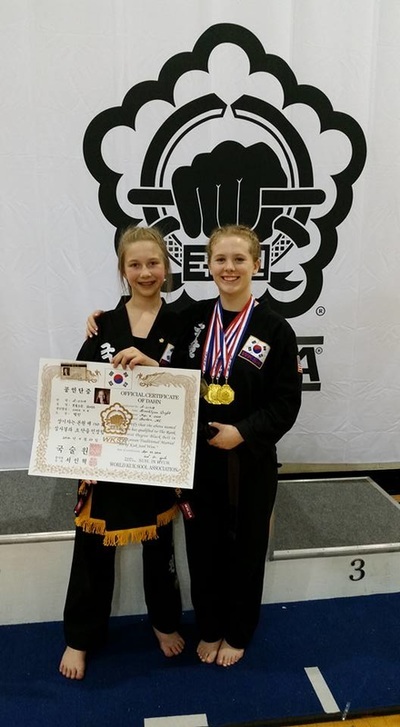 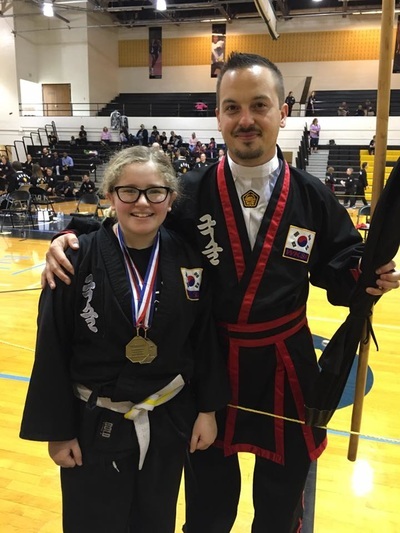 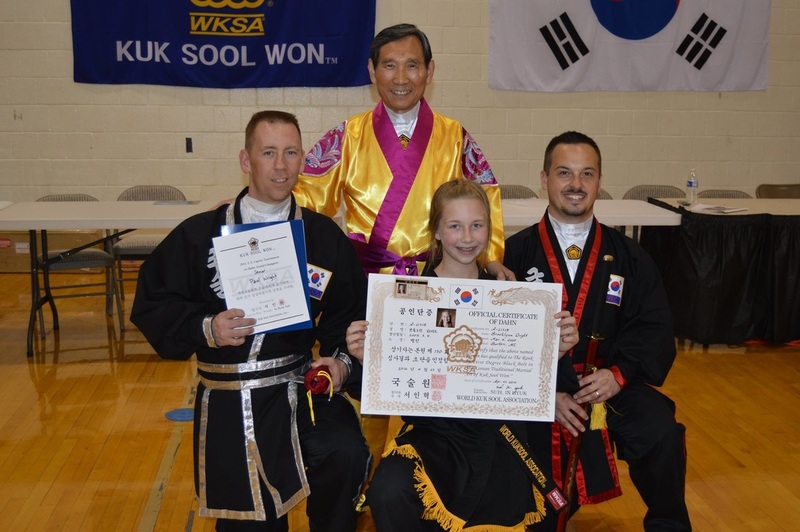 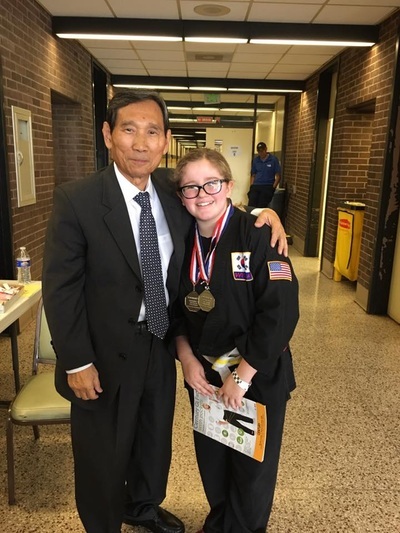 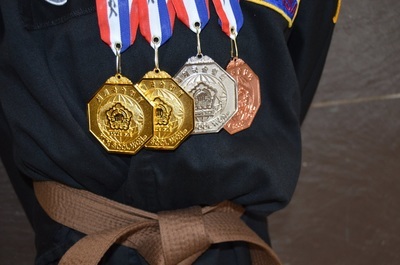 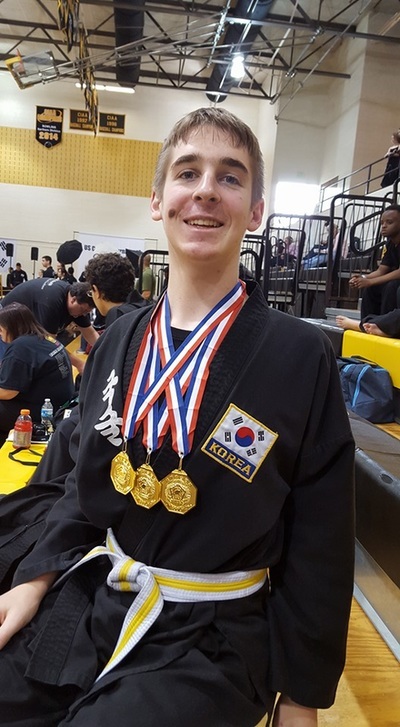 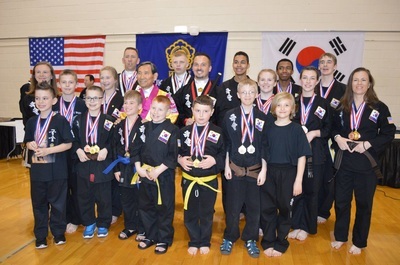 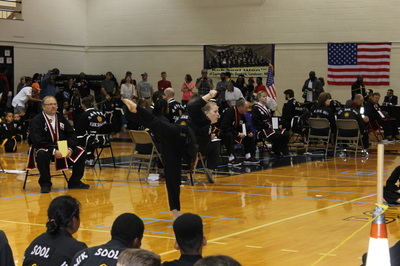 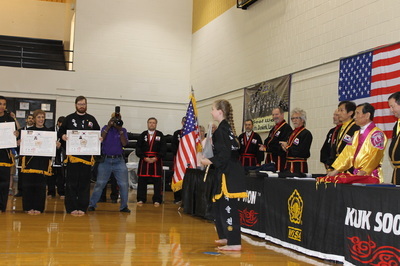 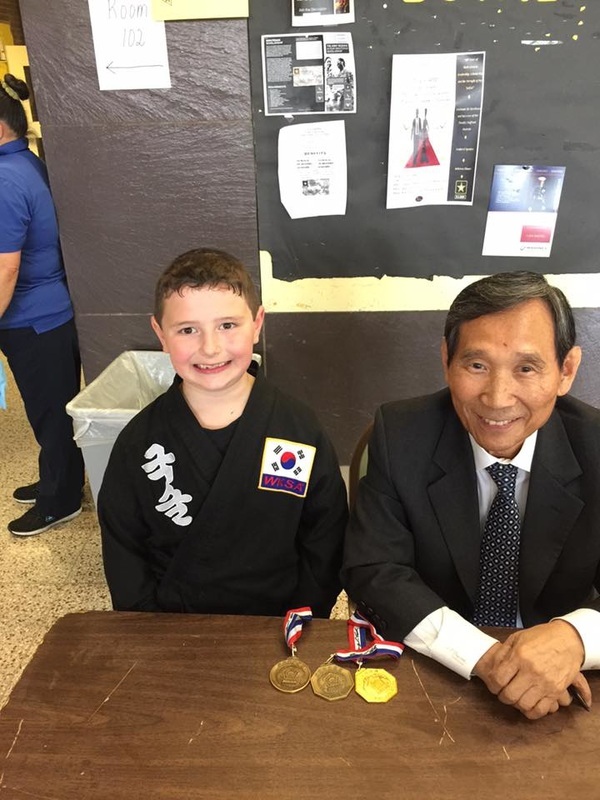 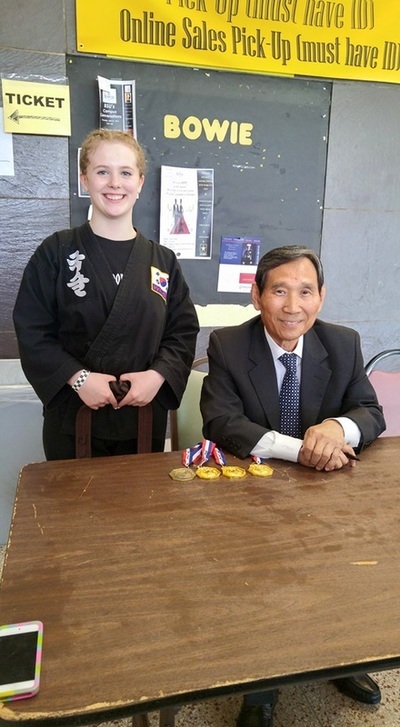 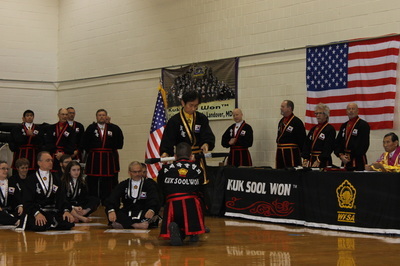 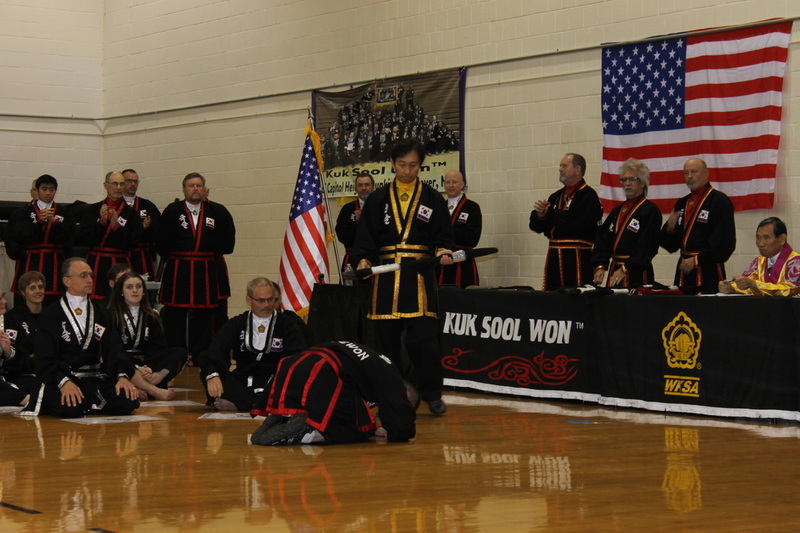 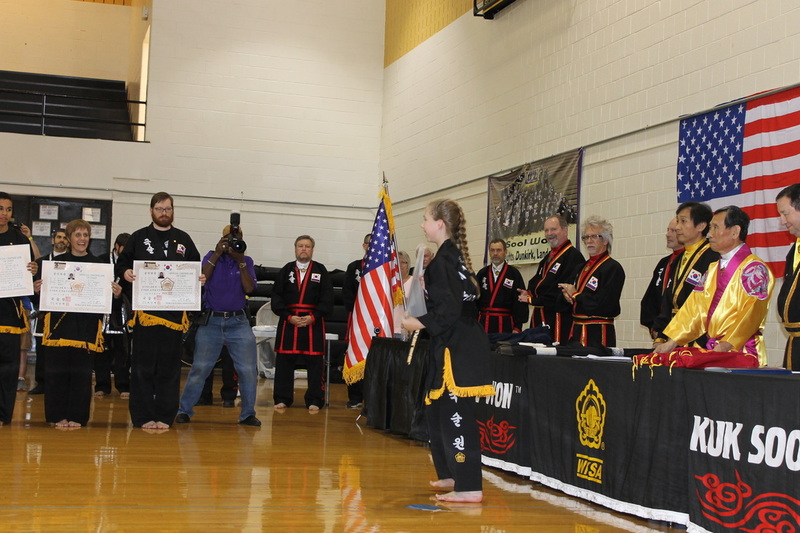 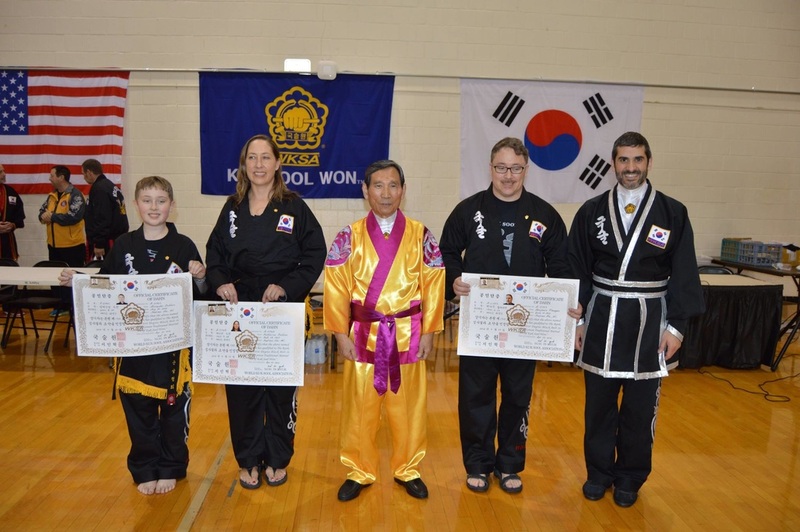 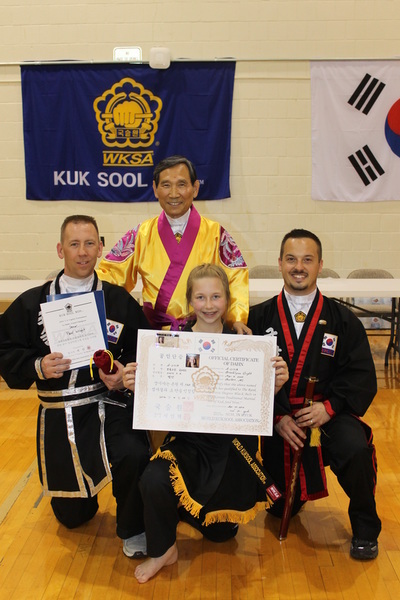 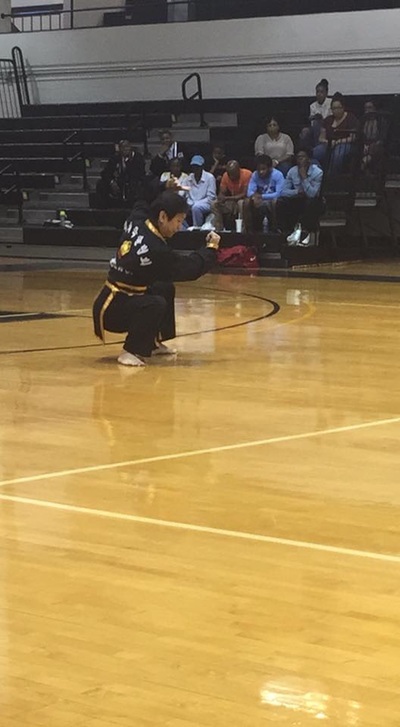 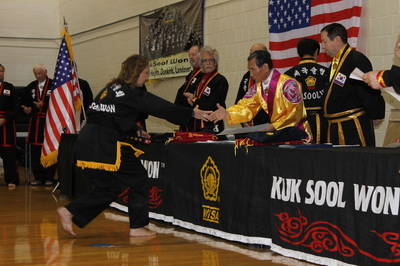 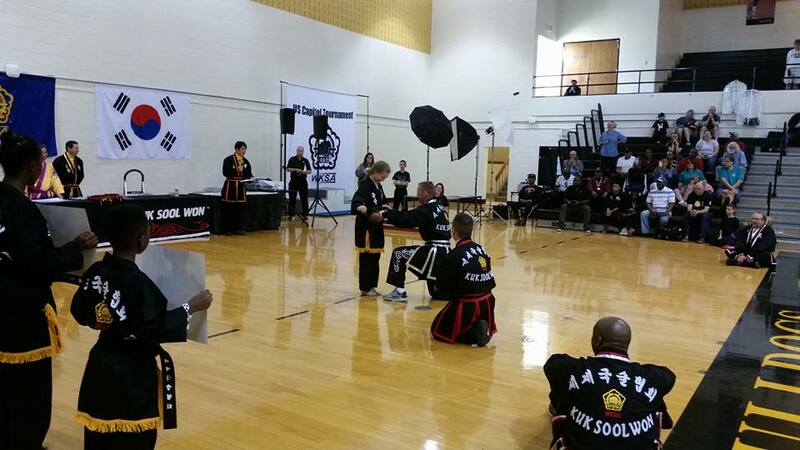 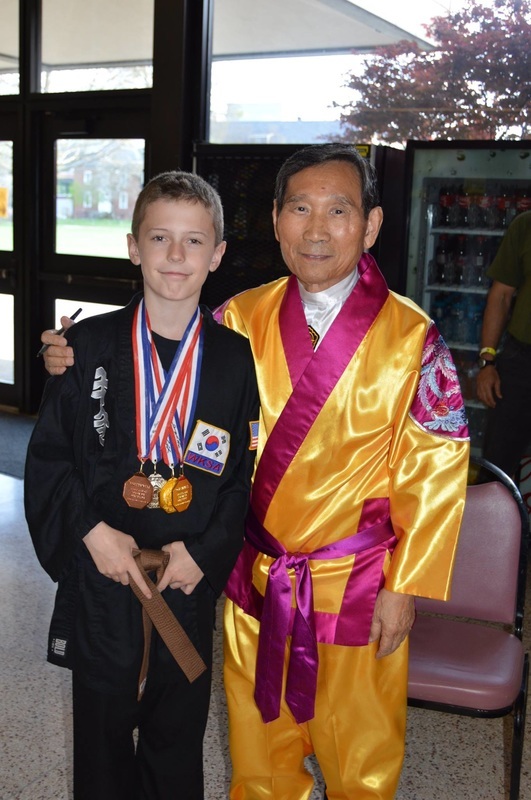 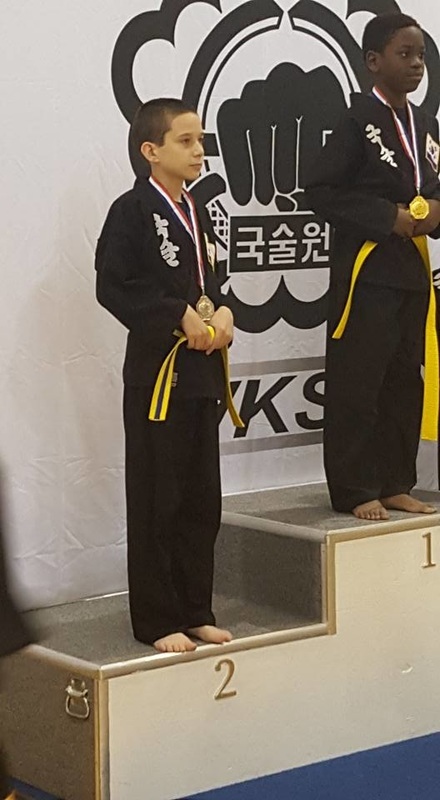 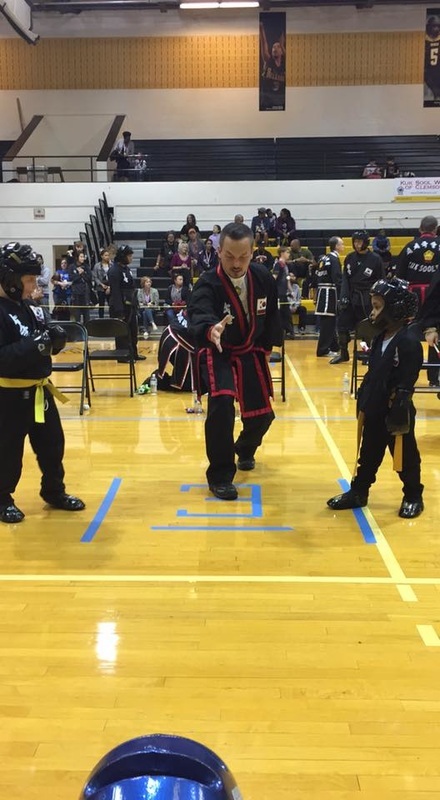 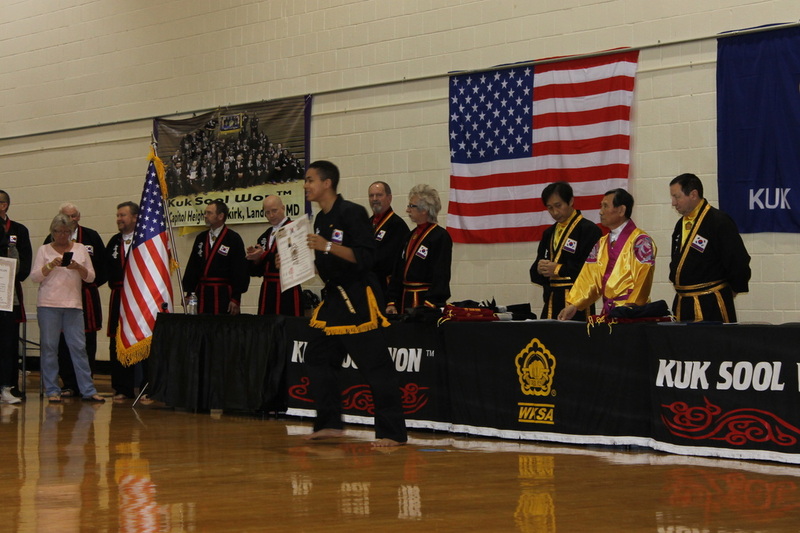 During the Award Ceremony the Grandmaster of Kuk Sool Won™ (Suh, In Hyuk) gave recognition to several individuals and schools for their hard work. 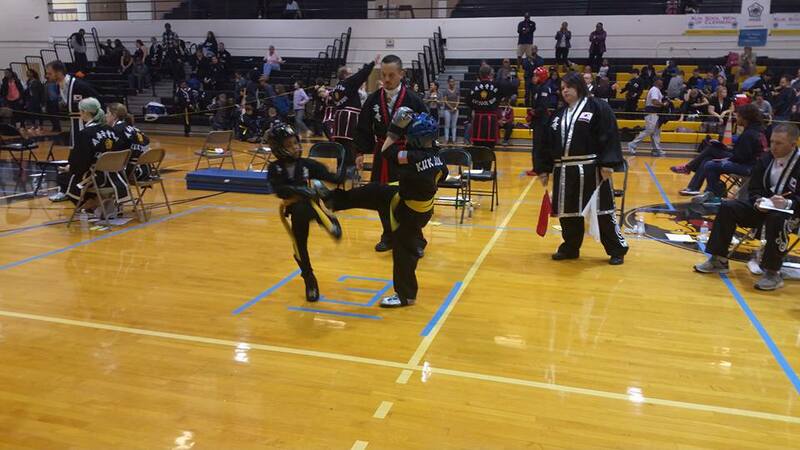 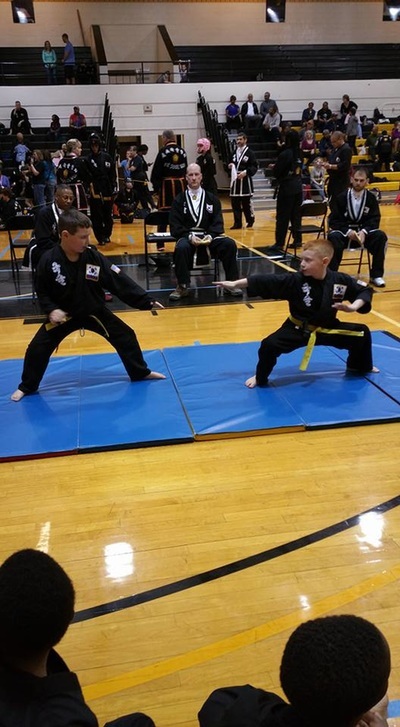 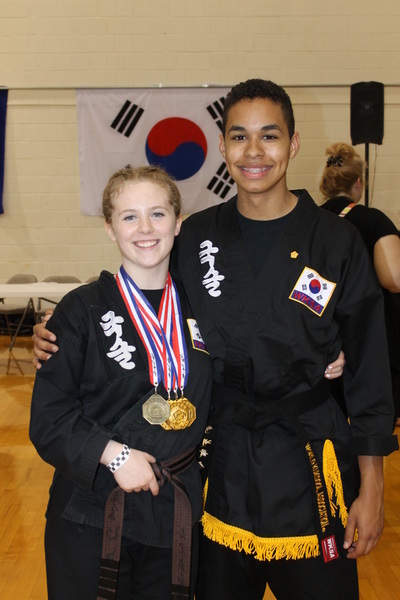 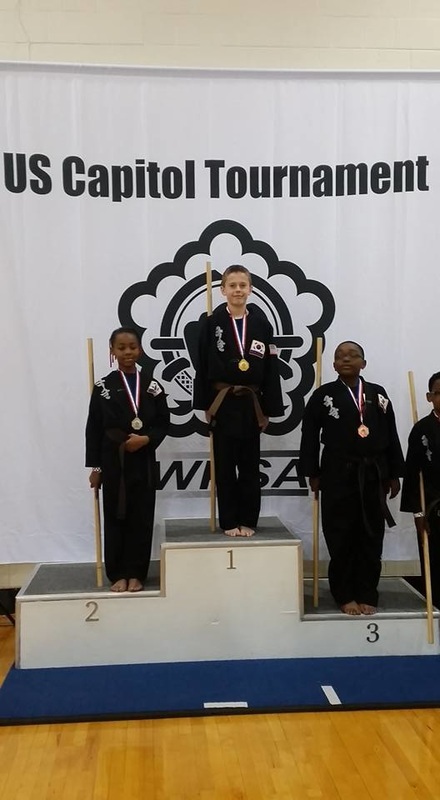 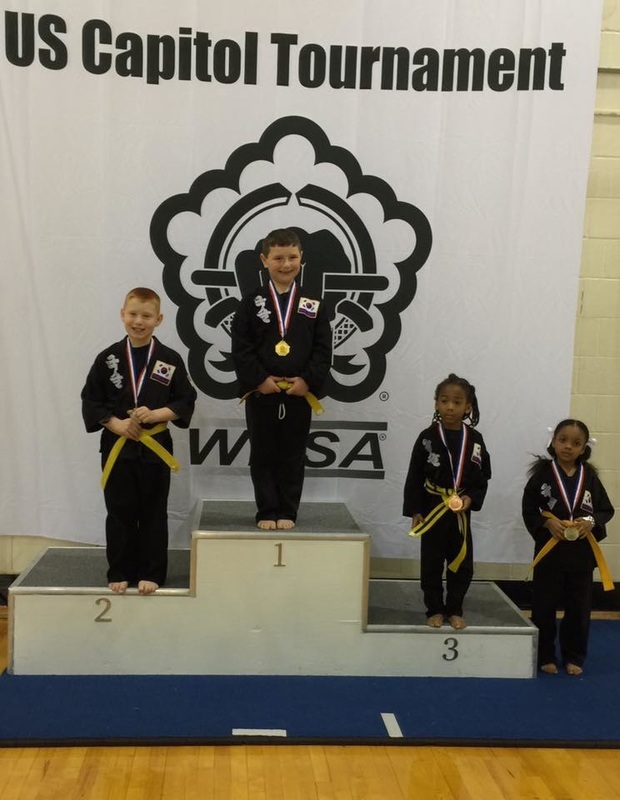 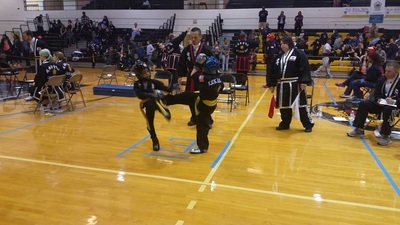 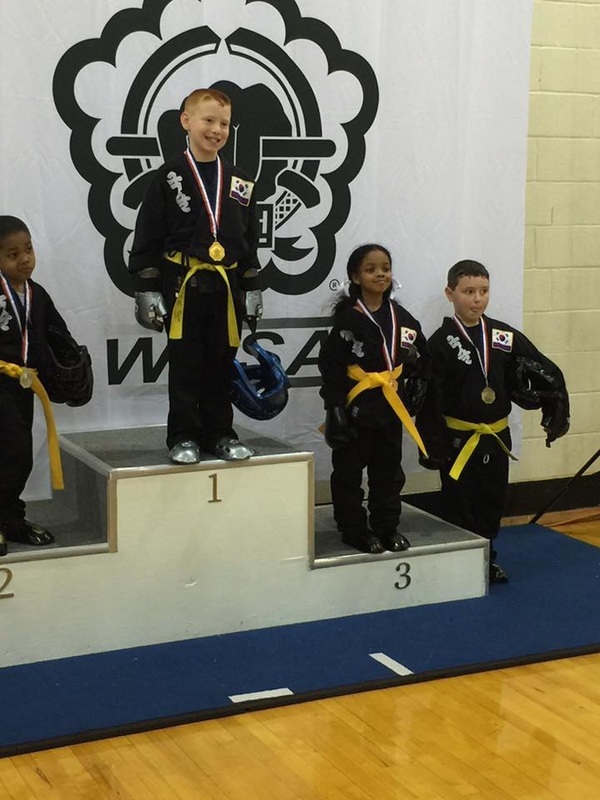 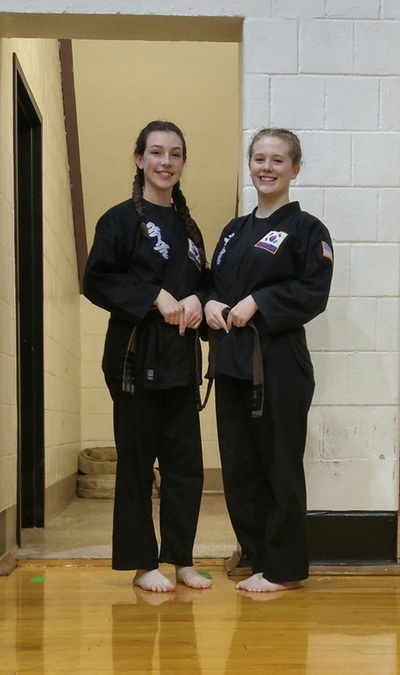 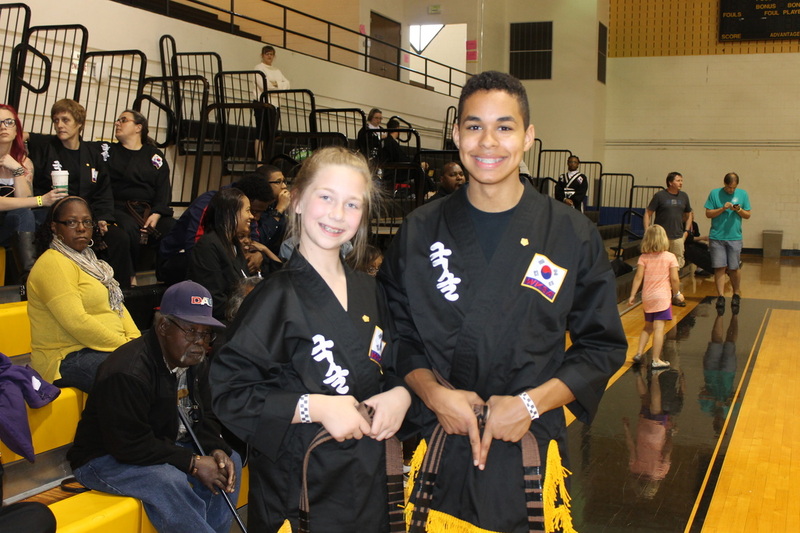 He presented Brooklynn Wright (Grand Blanc) & Tre Barry (Formerly of Davison) with their Black Belts! 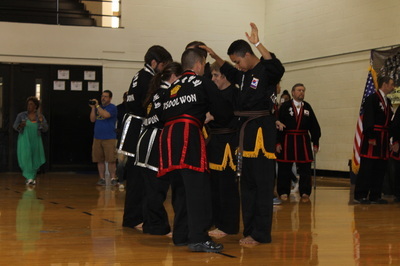 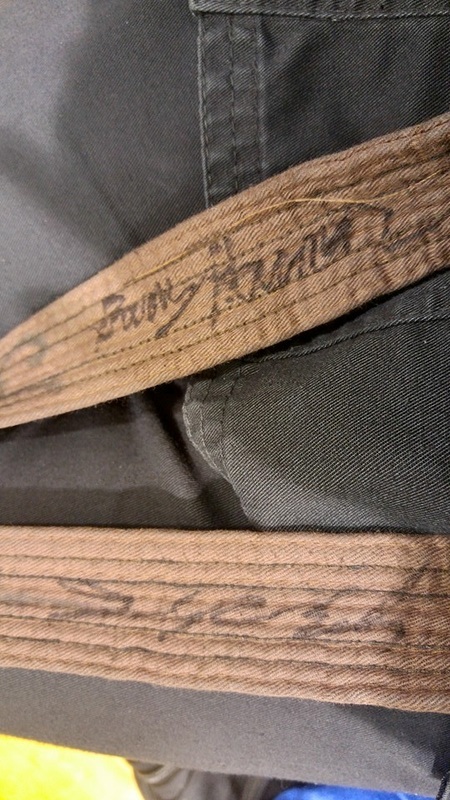 This was no easy task involving over 4 years of training and more than 10 grueling black belt tests. 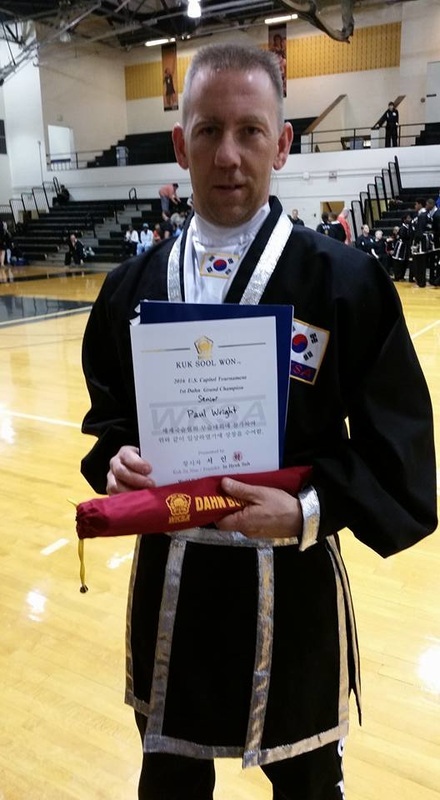 Then Paul Wright (Grand Blanc) was announced to be Grand Champion of his entire division! After the individual awards were given out, they announced the placement of each school. 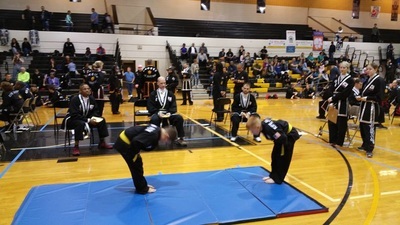 The local Burton school earned 4th place overall against 20 schools! 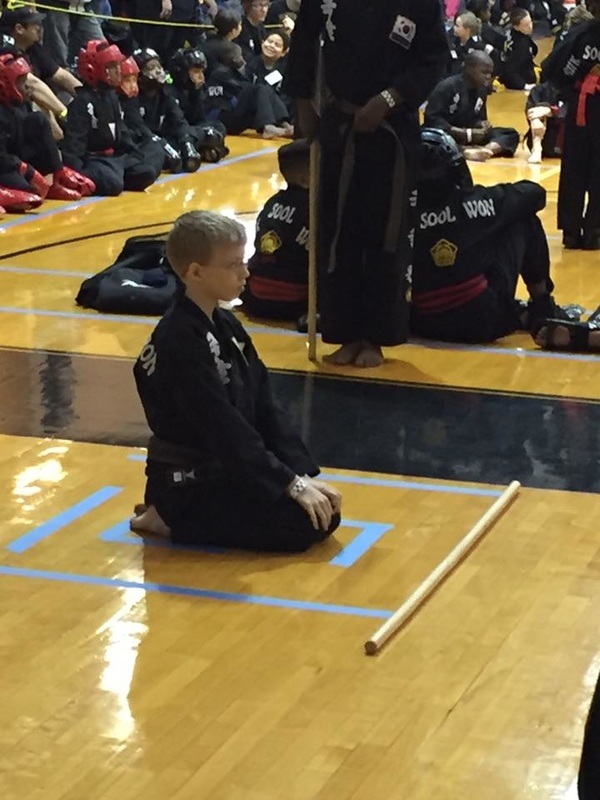 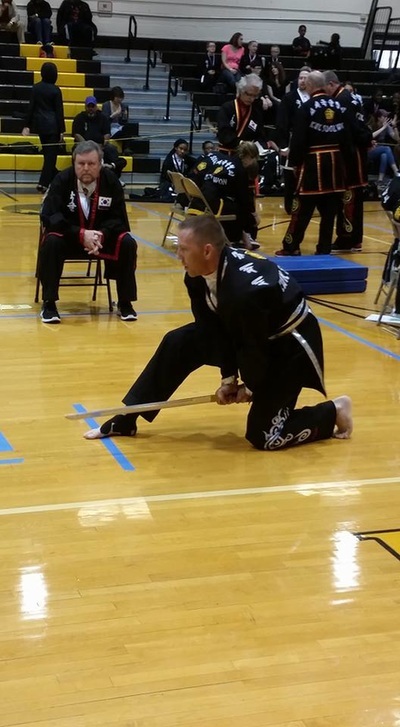 The Grandmaster presented the Head Instructor/Owner Kenneth Wright with a sword to honor his work with the students. The tournament was an overall great experience for this school and the students are buzzing with excitement.